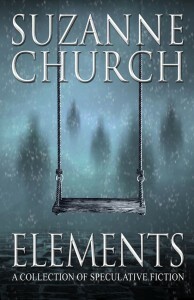 Suzanne Church is a shining new star in the Canadian science-fiction firmament. Her wonderful stories will move and delight you. Suzanne Church’s fiction is charming, dark, powerful, and stylish, sometimes all at once. Suzanne Church is a bright new star on the speculative-fiction horizon. I’m very excited to see this mesmerizing collection, which shows the fabulous range of Suzanne’s talent and includes ‘The Tear Closet,’ one of my favorite stories in recent years. Alien world after different setting, and in all of them, you are right there, up close and personal. Feeling, understanding . . . This is not just another collection of stories! Yes, there’s an Aurora award-winner here, but every last tale in this book is a powerful glimpse of a reality very different from our own. Some of these glimpses are dark, some wry—but all of them are rides both unforgettable and worth taking. You’ll read some of them many times. I guarantee it. These stories grab hold tight, and hang on for dear life. And beyond.